I can’t believe its been over a month since I came home from my last trip to Disneyland Paris, where has that time gone?! It was such a great trip, but a little different from my usual park visits as believe it or not, I only rode three rides in the two days I was there, so I thought today I’d share my favourite rides that I’m looking forward to doing more now I have my annual pass! I love that there are no rides in any other park like this, which is probably why there’s always such a crazy long line! This ride looks so tame from its appearance, but its actually a lot of fun! Plus you get a great view of the parks from the top! Because I’m a lover of rollercoasters, but not overly keen on Space Mountain at DLP, Indiana Jones is a definite favourite of mine! I also love the queue, which sounds silly.. I just love Pirates of the Caribbean, its my fave in every park. Another ride with a ridiculous queue, but this ride is so cute and incredibly smart! What are your favourite rides in Disneyland Paris? The sun is starting to creep out, and I’m starting to spend more time with my legs out and less time in long sleeves, yay! While I now that the Great British summer is far from reliable, I can help but pray that its time to start breaking out some of my favourite summer outfits, and just in case it all goes downhill from here, I thought I’d share some of them today! I love everything about this dress! It was from Blue Vanilla (last year) and I fell in love with the print the moment I saw it, and I love the fabric too – its super light and floaty! This dress just screams summer to me. It was from Nasty Gal a good few years ago now, but I still love it and its perfect for everything from beach and bbq to cocktails with the girls. I stumbled across this adorable playsuit from LJCDesignss on Etsy and it was everything I hoped it would be or more! Its a super lightweight cotton, and the pom poms and tassels make it so fun. A Missguided sale snag, this strapless playsuit reminds me of neopolitan icecream for some reason, ha! As well as being cute from the front, has an open back that ties up at the top, and it has pockets, yay! I’m not normally one for an a-line, but I really like this Grecian style and the colour, and its really easy and comfortable to wear! I love nail varnish; I have a fairly huge collection and I use pretty much all of them regularly. 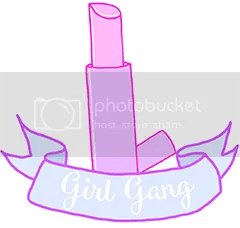 I will admit that I’m a bit particular on brands, and by that I mean its basically all Barry M. I love the colours, I love the quality, and I like having matching bottles that all fit together nicely in my makeup storage! Today’s FFF is sharing five colours that see a lot of love in the sunny seasons! The yellow is a limited edition that I found in Boots last year, and it doesn’t actually have a name but its so bright and opaque, whereas I’ve found other yellow shades often take an undercoat before the colour stands out enough. Next up is three of the Gelly Hi Shine range; I personally don’t find them much shinier than the classic nail paint, but I do love the colours so I don’t mind paying the extra £1! The shades are Satsuma, Grapefruit and Kiwi! Last up is actually my all-time favourite nail varnish, which is Pure Turquoise from the classic nail paint range. I’m not actually sure if its available anymore but I have a few bottles of it so I’m all set! What colours do you wear in Spring/Summer? Considering I spent less than two full days in the parks on my trip last week, I had so many great experiences and made so many memories that its pretty tricky to choose just five, but here are some that stand out! Until this trip, I’d never met Merida in the parks before, and quite honestly I didn’t really know what to expect, but she was so lovely! She told us all about the ‘gammy spell’ that the witch gave her, and when she noticed my tulle skirt, she got me to twirl with her which was magical! On the second day in the parks, I was Disneybounding as Donald Duck, but unfortunately didn’t get to meet him in the morning, so when he drove by during the garden party parade, I shouted out so he would notice me and he tried to throw himself out of the car at me and was so happy to see my fluffy ears! It was really sweet. Being Spring, meeting the bunnies was a priority for me. I brought my Thumper tsum tsum with me so we had something to play with, and they were so happy to see it! Miss Bunny also stole and wore my fluffy ears! I have a real love/hate relationship with ToT: love the ride, hate the build up to the first drop. This time, however, I was too busy laughing to be scared after the cast member running our elevator stole Milly’s ears after glaring at us all in the queue. Ok, so maybe you had to be there, but it was so funny at the time! In the build up to this trip, I was so good at avoiding spoilers for this show, knowing only what characters were involved, and seeing the odd photo as I scrolled through Twitter and Instagram, and I’m so glad I did because it was so magical seeing it for the first time! 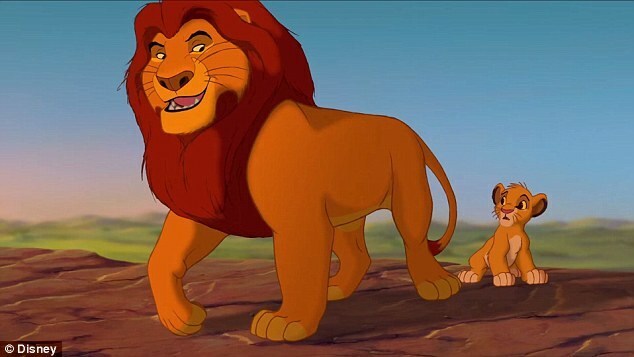 I actually watched it 4 times in two days, and now I can’t get the songs out of my head! What are your favourite memories from Disneyland Paris? I don’t think its much of a secret that I’m a bag addict..
Today I’m dipping into my collection to share a few of my slightly less practical but more adorable favourites! This one is so cute! Yes, its not always the most practical, but its shape actually means it can hold more than you might think! Also the top is magnetic, which is great. This is my go-to night out bag; big enough for my makeup, phone, keys and a small purse, and um, its a party ring! Another night out favorite of mine because its so sparkly! It also has a little wrist strap and is pretty roomy. A doughnut the size of my face? Yes please! Watermelon = summer to me, and I can’t wait to use this bagboy (no, not a typo) more when then sun comes out! 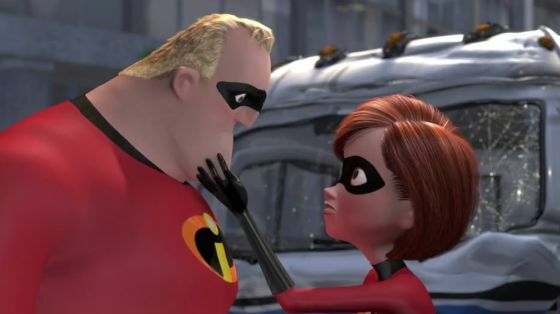 What do you think then, huh? 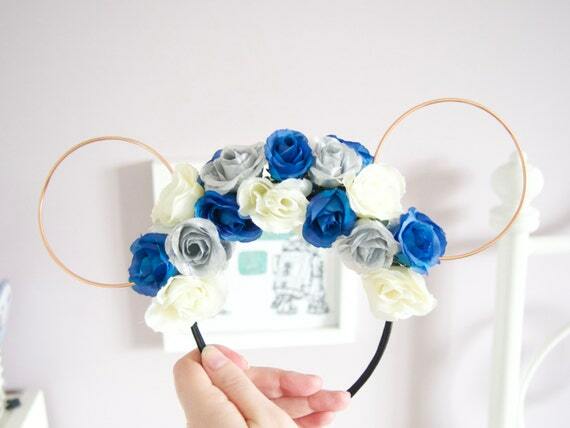 Friday Favourite Five – Mickey Ear Makers! For me, nothing pulls together a Disney trip outfit more than the perfect pair of Mickey ears, and I’m a real sucker for a beautiful pair of handmade ones! Today, I’m going to share five of my favourite creative beauties who make beautiful ears, some of which I already own and some of which I’m desperate for! I first posted about Le Ears way back last year, and from that post blossomed a friendship with the lovely Nancy, who not only sent me a pair of her ears as a thank you for the feature, but also has been so kind to me and I was lucky enough to meet her back in January! 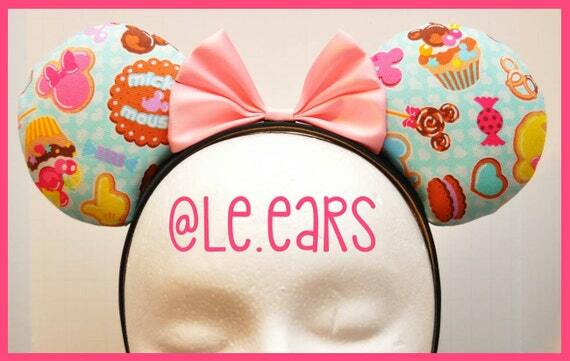 She makes the most amazing range of custom ears! Another ear pixie I’ve been so lucky to meet is Maggie! 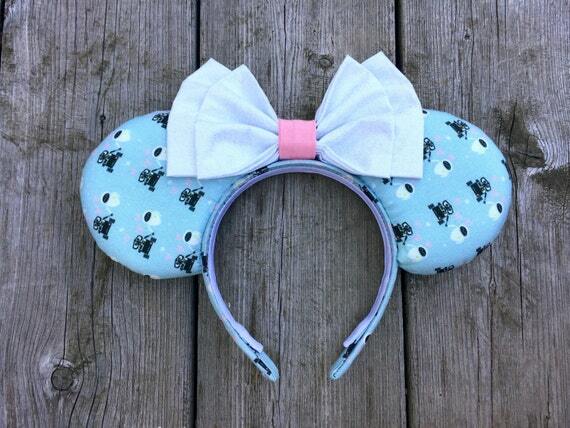 I bought a pair of her first ever ears, and have been obsessed ever since; she always has the cutest fabrics! We stayed in the same resort on my January WDW trip and I can honestly say she is just as lovely as her ears! The most beautiful sparkly and sought after ears in all the realm! I’ve been waiting until I had a perfect design to make an order, and custom slots sell out quickly, but I’m poised and ready for the next shop opening and hoping I can snag a spot! 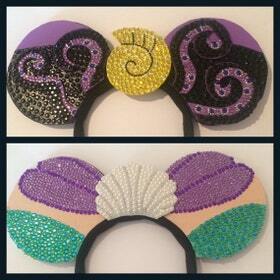 My beautiful Disney friend Amy has just started making these beautiful wire ears, and I think they’re so pretty! 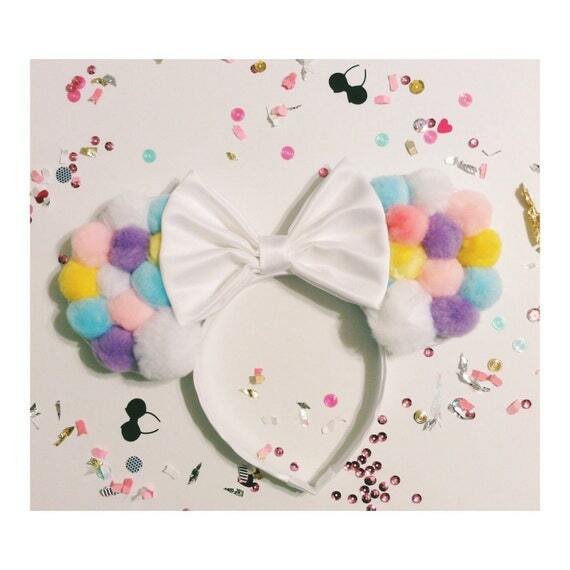 I love how bright and coloured all of the ears from House of Mouse are, I just wish shipping to the UK wasn’t as expensive as the ears, waa!